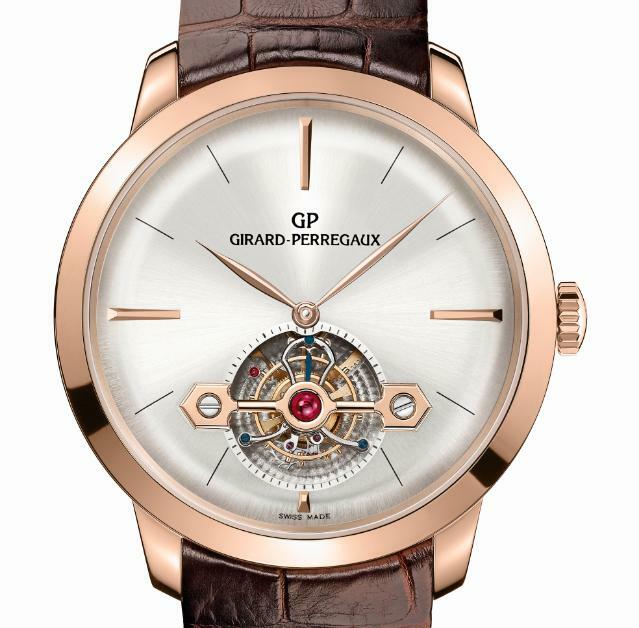 Girard-Perregaux has the capability to produce watches which are every bit as elegant and self assured as the best pieces from the likes of Vacheron Constantin and Patek Philippe. 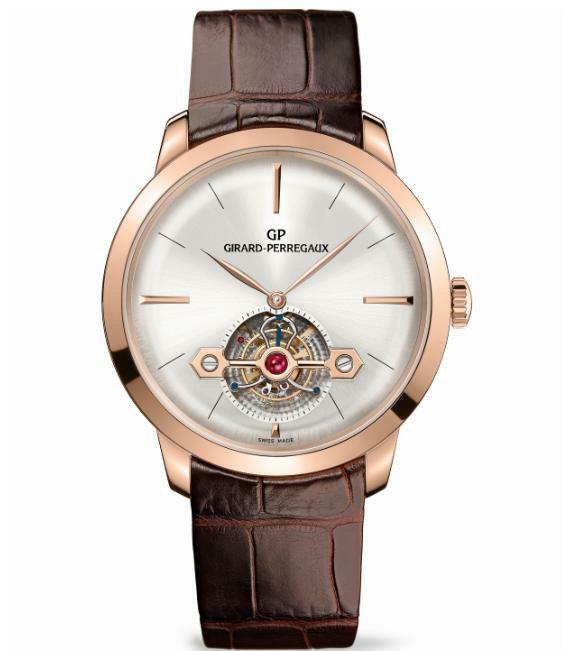 A good case in point is the magic and mastery of Girard-Perregaux’s new Tourbillon with Gold Bridge. The tourbillon mechanism is a combination of the Manufacture’s expertise, tooled with the precision required by the Maison’s GP 09600 self-winding mechanical movement. The watch comes in two strictly limited editions – in both white and pink gold. Its 40 mm diameter houses a silvered dial with sunburst-motif that harks back to the classic watches of the time. Four applied hour markers give aesthetic balance while the leaf-shaped hour and minutes hands fly elegantly over the dial. The tourbillon sits majestically at 6 o’clock. Opulently yet tastefully decorated, the carriage is mounted with gold adjusting screws, and is chamfered and polished by hand, as are the escapement and pallet bridges. The watch features a tourbillon bridge fashioned in an unusual shape called “bassiné”, with rounded arms. The craftsman files the ends with regular movements to give them a soft, semi-cylindrical form, before finishing the work with traditional tools such as buffs, stones, diamond paste and boxwood sticks. Underpinning it all is the rich history of the Tourbillon with Gold Bridge. The interior of the case houses the famous Girard-Perregaux calibre GP 09600 with design and decoration inspired by the pocket tourbillons of the nineteenth century.